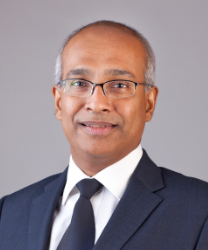 Dr Ramesh Singh Veriah is a Consultant Cardiologist and an Internal Physician having started his career in 1997. His expertise range from General Cardiology to Interventional Cardiology with his main focus on Complex Angioplasty. Dr. Ramesh is regularly invited as Faculty to International Cardiovascular conferences to share his expertise. He believes in propagating the teaching and art of Interventional Cardiology for the betterment of society and fraternity. Dr. Ramesh Heads the Cardiology Unit and sits as Committee member for several local and International Cardiology bodies. At UMSC, he ensures that patients receive the highest quality care that is evidence-based. He would like to reassure patients that complex and high risk cases are managed via a Heart Team approach that is comprised of multidisciplinary teams.